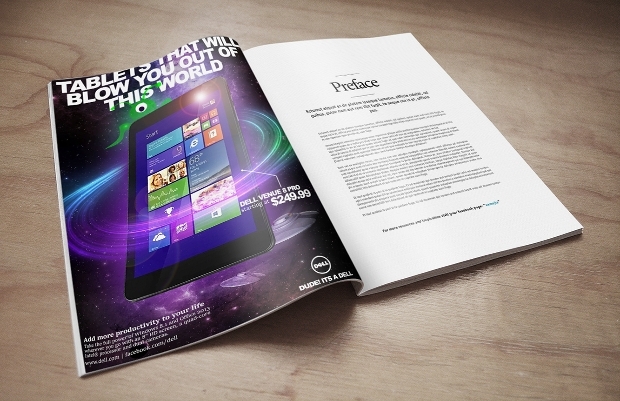 An editorial design has an important role in the way information is displayed. 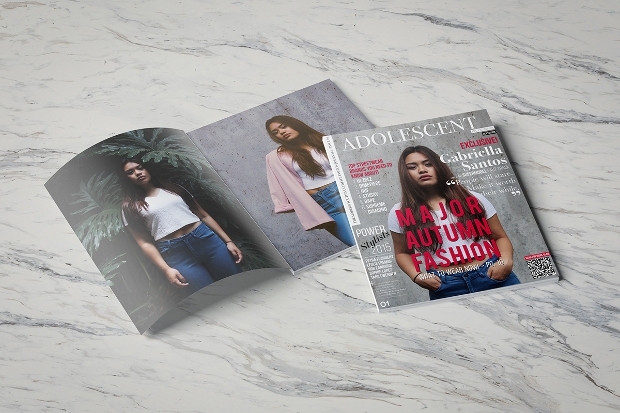 The evolution of the digital world has made designing magazines hard. 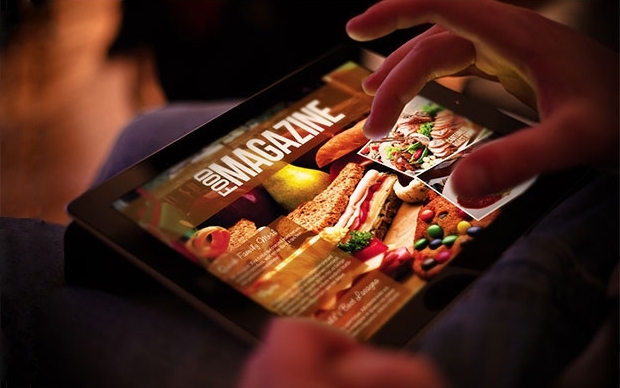 The strong competition sets new rules for the way a magazine should attract a new audience and maintain it. 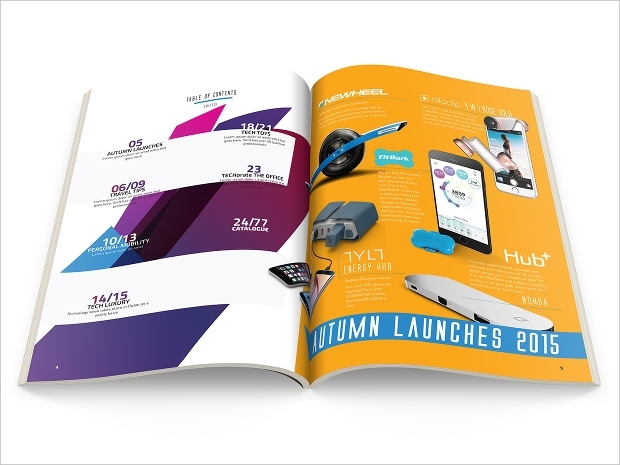 Colors, shapes and style are the key features for all magazine designs. 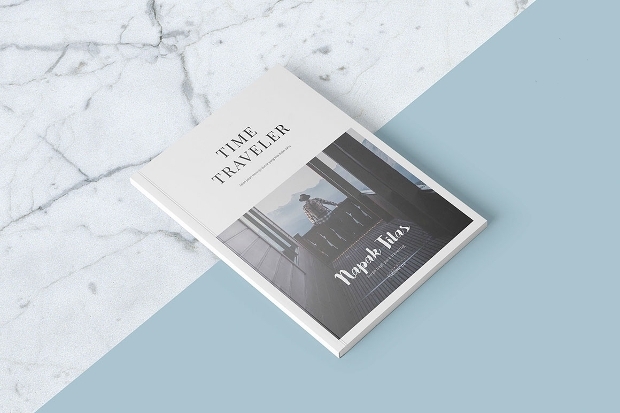 Today, we are presenting you with a list of 20+ best magazine designs that is going to help you create something unique. Find a neat design that you can customize to fit your purpose. 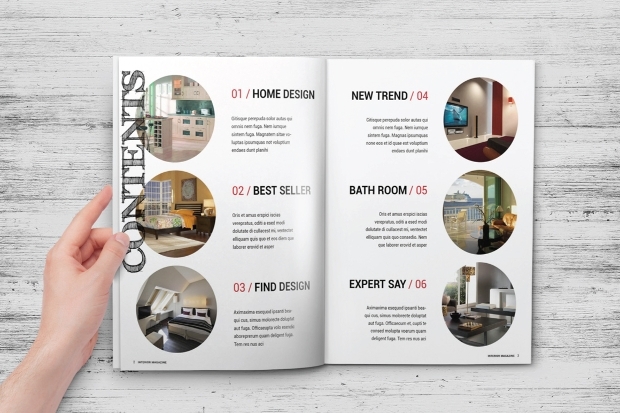 Interior design is all about style so don’t hesitate to build a homey or corporate feeling for the magazine’s design. You can use a template in PSD or eps with layered properties for easy editing. A fashion magazine has a multitude of photos. 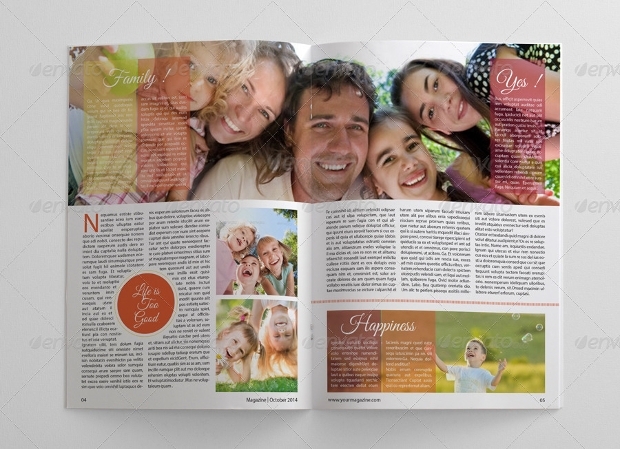 Choose the right magazine design template, by checking the way it allows photo changes. This will save you valuable time and help you work faster. 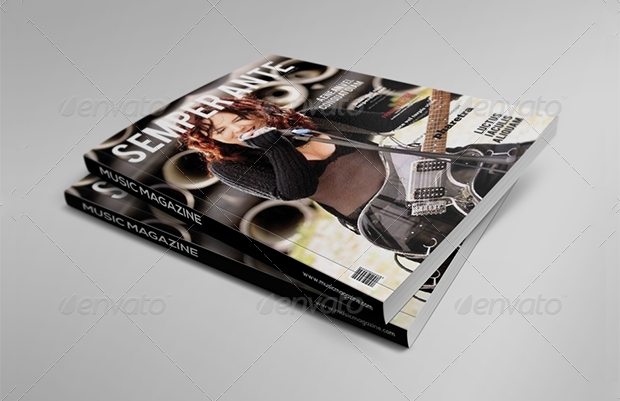 You can find many templates in PSD, eps and jpg that require editing with Photoshop. 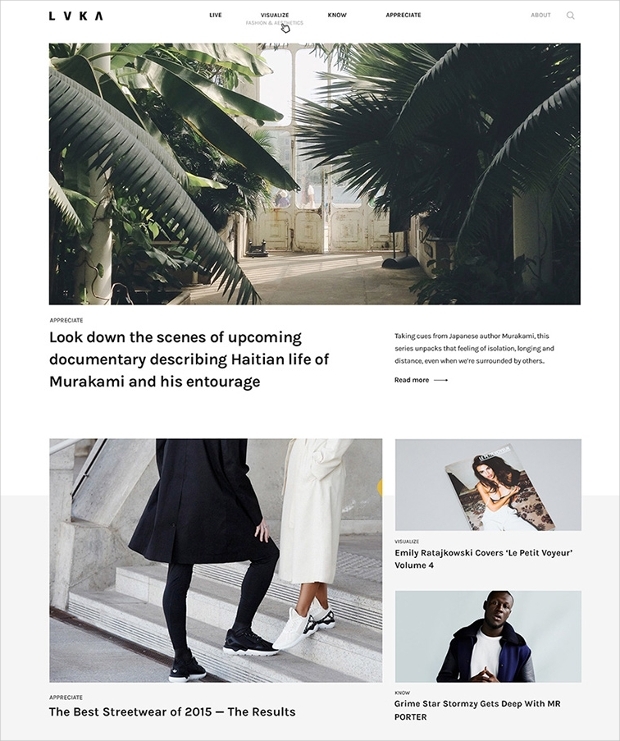 Web magazines allow for a more diverse look. 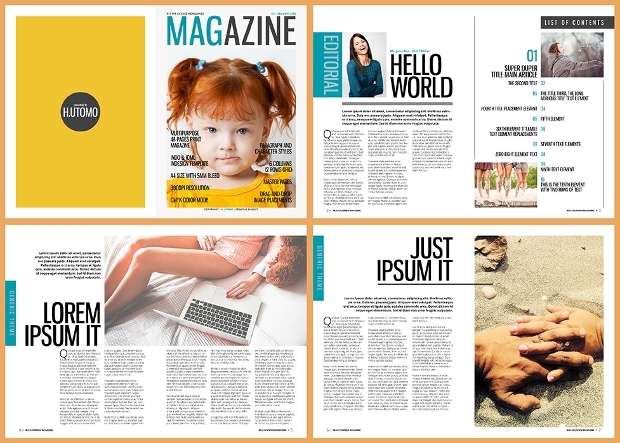 You can get a template design that will give you freedom in deciding what you can keep and what not for every issue. Editable versions with layered properties will be your ally. 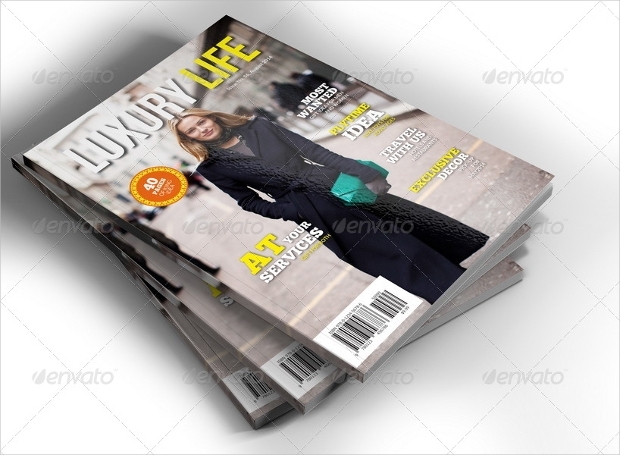 For this, you can choose from PSD and eps formats. Food has many different tastes. That makes it important to find a template that will allow you to combine different elements in order to bring to life the idea. 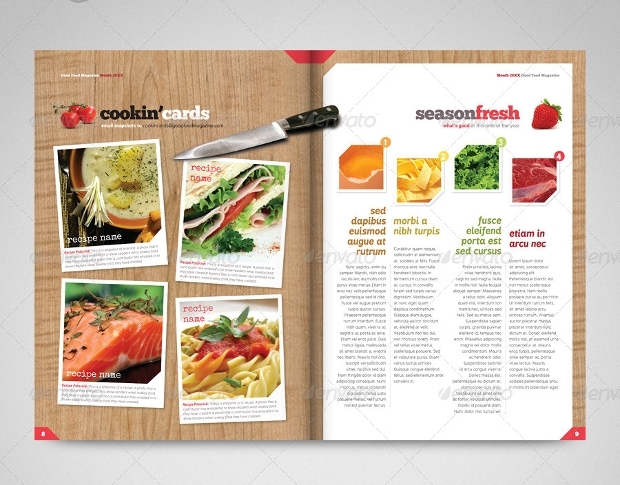 Food magazine designs are available in most format files that offer simple and fast editing to help you with the editing. 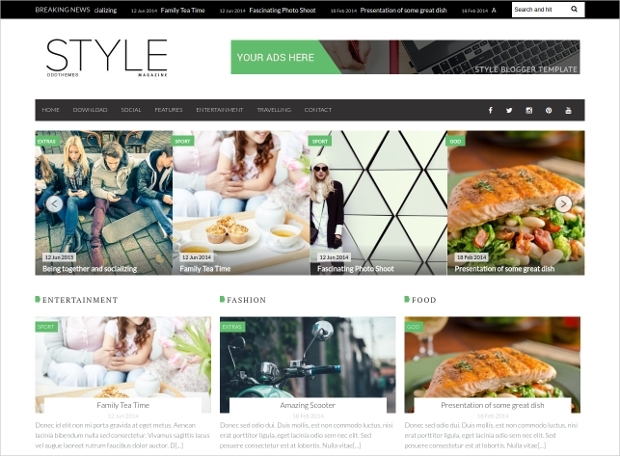 Choose a template with bright colors and beautiful fonts. 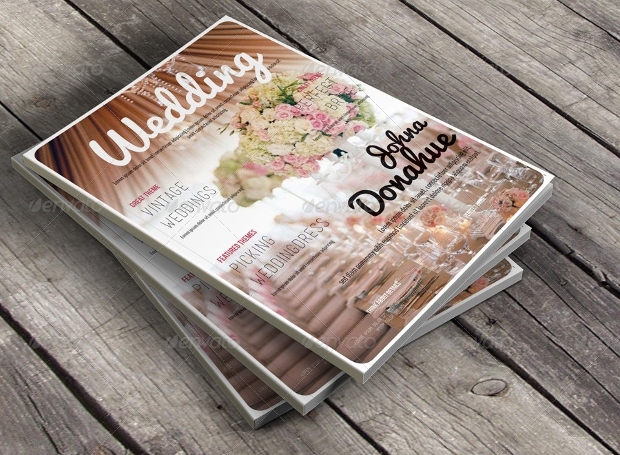 Wedding magazines need to cover everything related to weddings so you will need a versatile template that will allow you to add or remove pages for every issue. 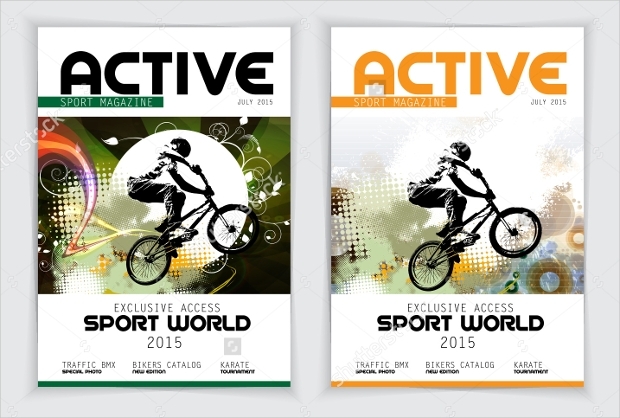 You can find stunning designs in most known formats with easy customization. 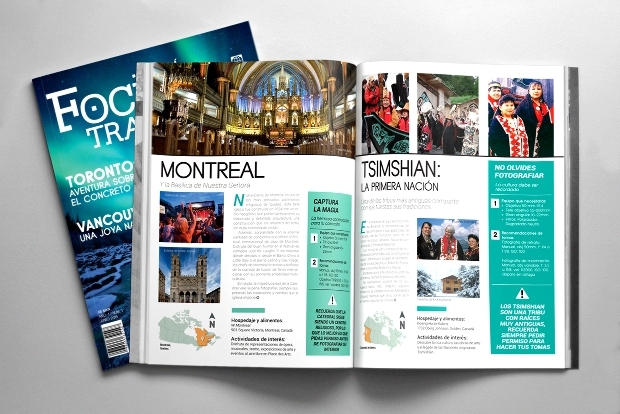 In a travel magazine, you need to let the pictures do the talking. 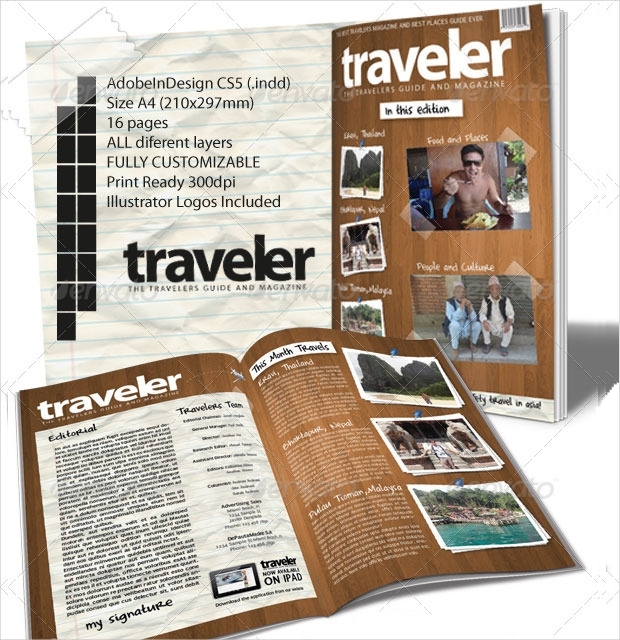 There are many extraordinary templates that are suitable for travel magazines and have a simple minimalist layout. You can choose an eps or PSD format file with layered properties that will allow you to edit as appropriate. 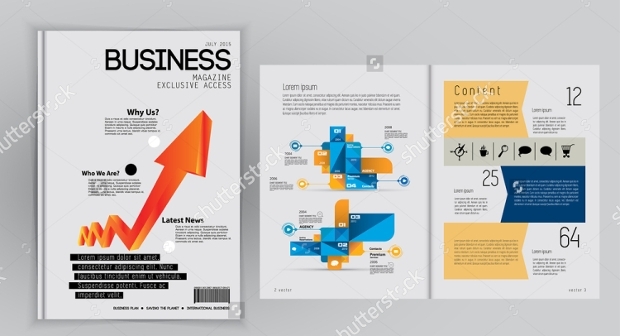 Business magazines have sharp and crisp contents with a sophisticated aura. 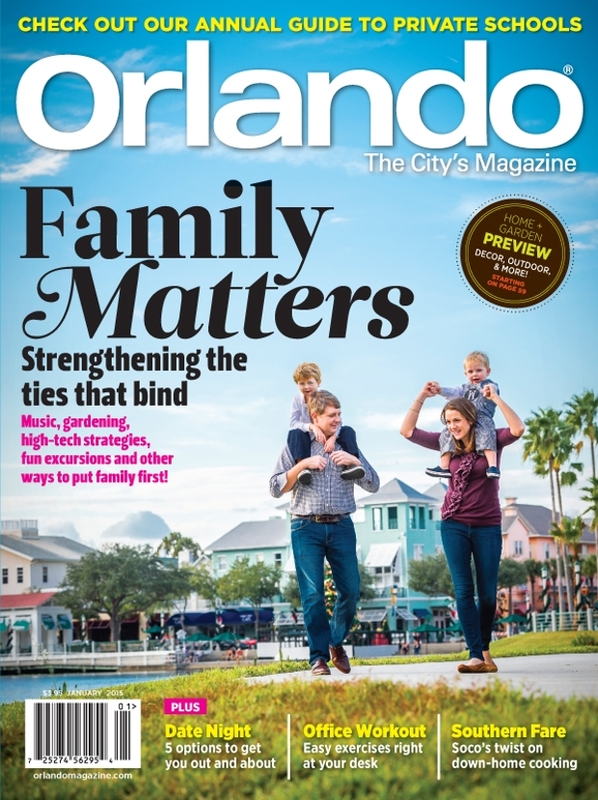 Put the shapes into play to make the magazine look interesting and to draw attention. Choose a template in an editable version to help with easy editing in eps, jpeg, and PSD format files. Depending on the target audience you can use the appropriate style. You can have a fast paced magazine with images and content for extreme workouts or you can focus on a serene style for yoga. No matter the purpose, you can find the right one for you in all formats. The world of sports has so much information to provide. 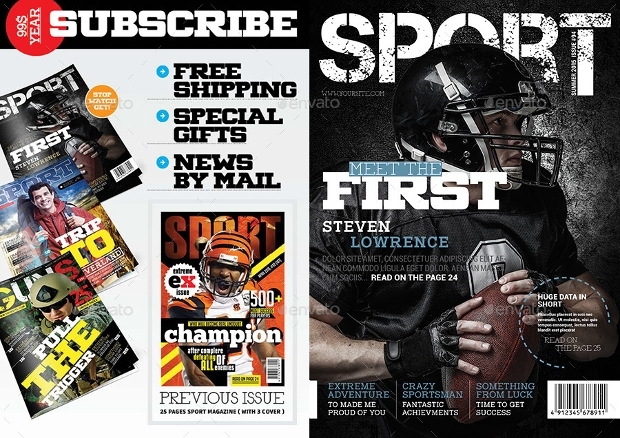 Get a sports magazine template with a modern and unique layout. Use the space that is provided for smart content and exciting photos that will attract your audience. 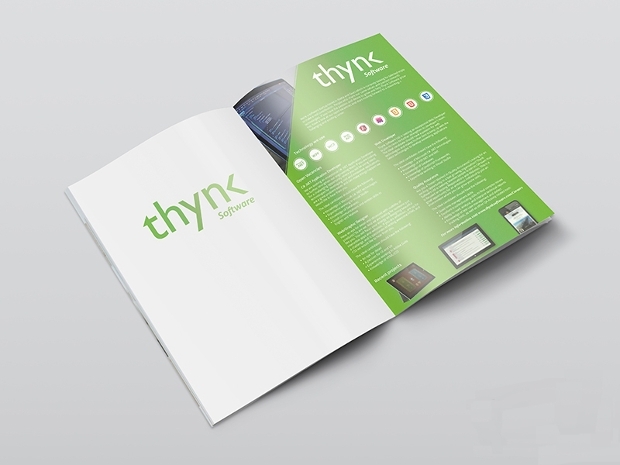 They are available in every format file allowing for easy and quick customization. 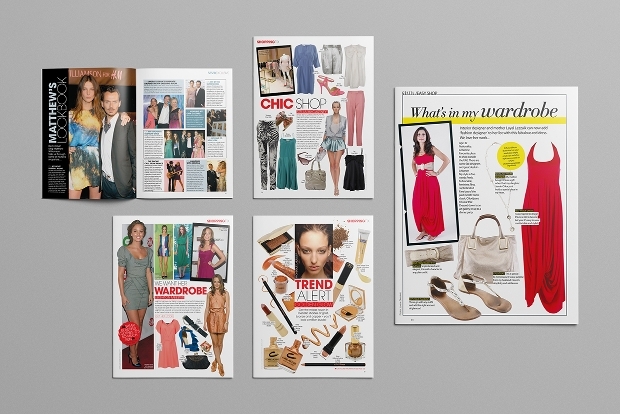 There are various types of magazine styles. 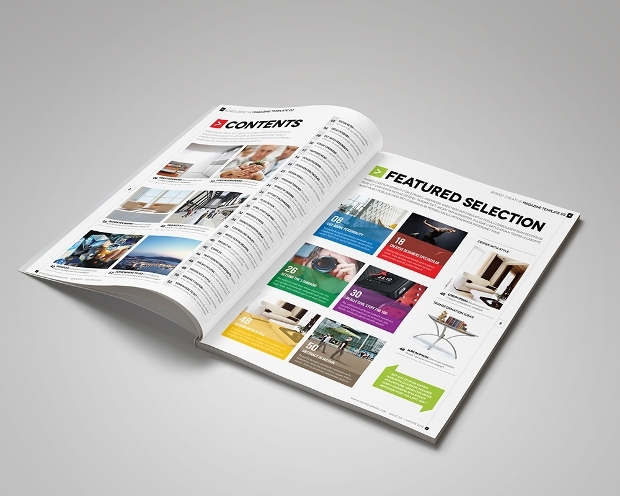 You can find yours from a wide selection of photography magazine templates. 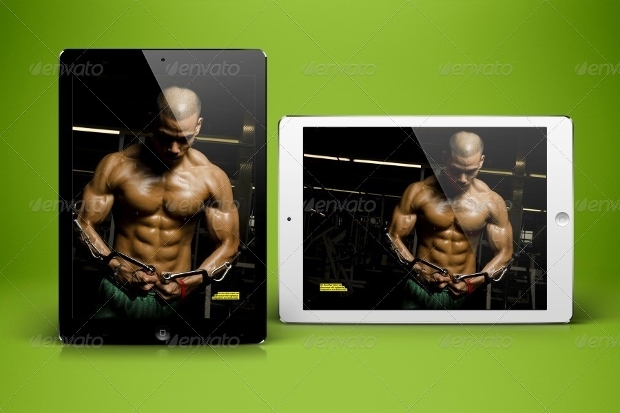 Choose a template that comes in two different sizes to help you get a smaller version too. Customization should be easy and fast to help you work while changing the photos. 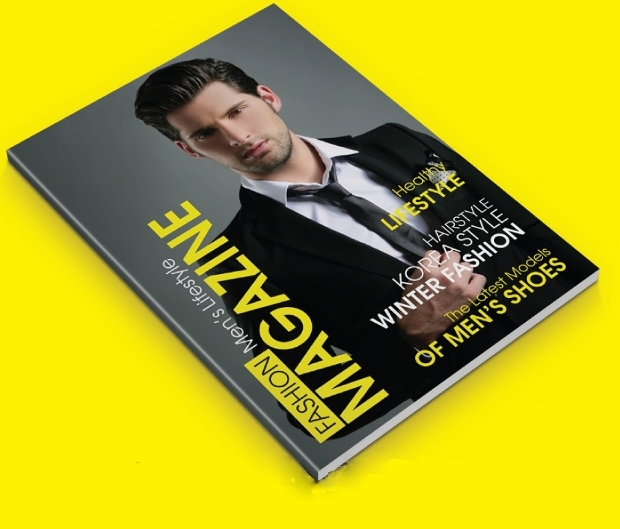 With a multipurpose magazine, you can have a ready-made canvas designed to cover every type of magazine that you decide. 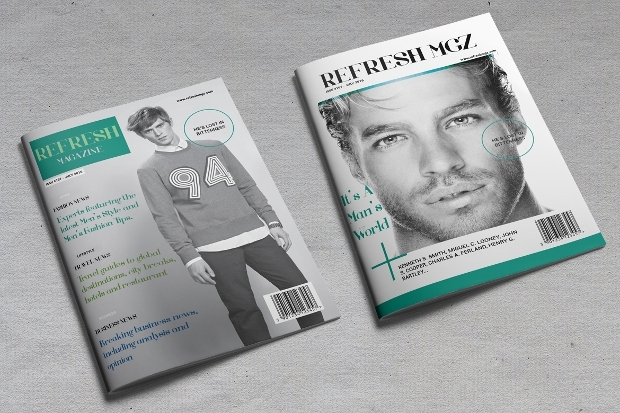 You can have several different magazines using the same template as a base. Find them in PSD, png and jpeg format files with fully layered properties for easier customization. 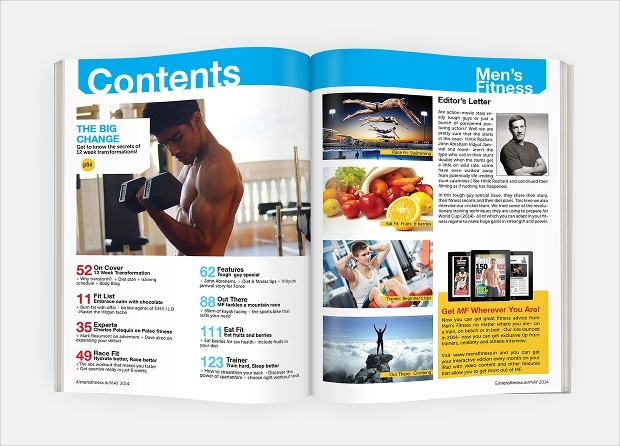 A lifestyle magazine has additional elements from fashion and fitness. 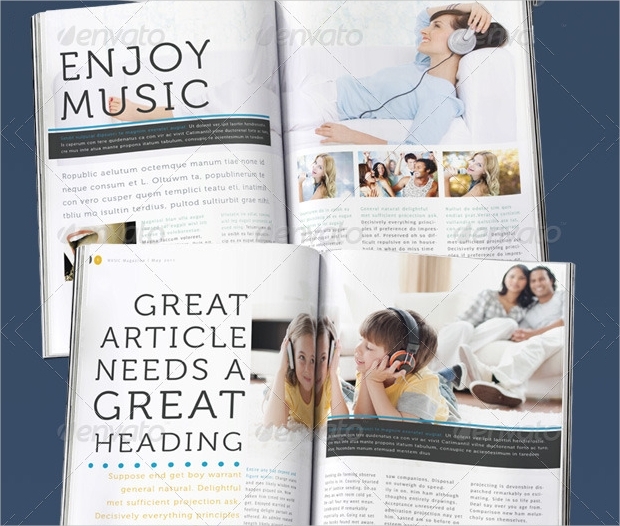 Every page layout needs to be unique precise and pleasant to read. 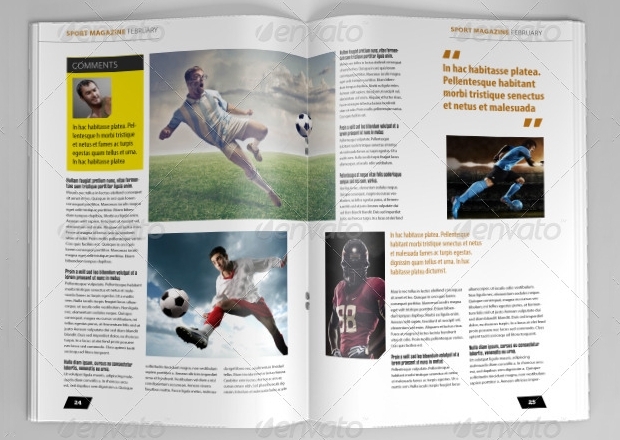 There are templates available in pdf, PSD and INDD format files that will allow you to fully edit as needed. Choose a version that allows adding extra pages. 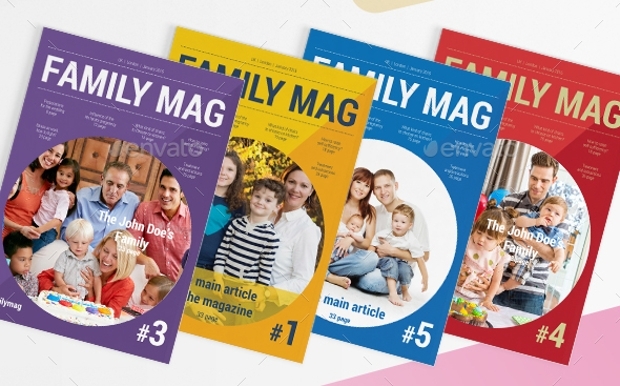 Family magazines need to have an open and inviting feeling to attract the target audience. 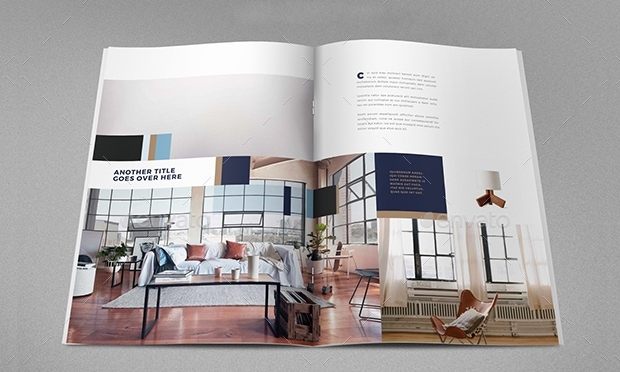 A simple, modern layout with pleasant and bright colors is going to be the solution for you. 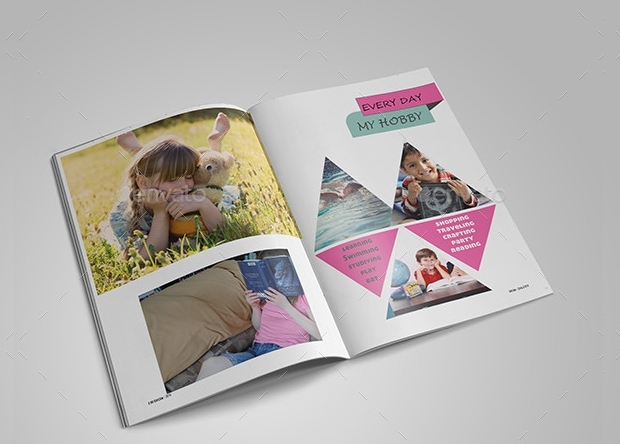 There are amazing templates suitable for family magazines that are in docs format and have a high resolution. 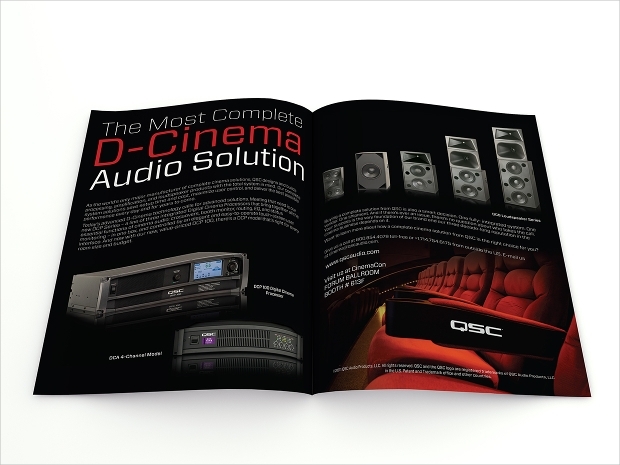 A modern or contemporary layout is ideal for electronics magazine designs. 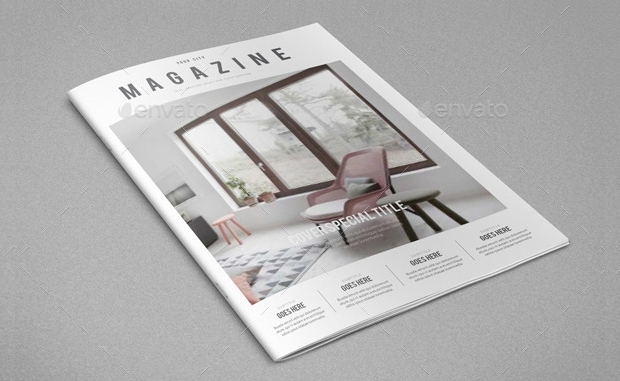 There is a great variety of magazine templates that offer an incredible layout that is suitable for electronics and all related content. Find them in PSD and eps format files that you can edit and customize. The choice of the style should be done depending on the target audience. 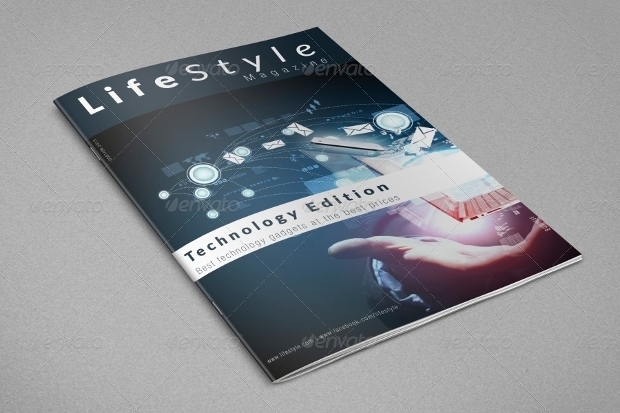 You can create a technology magazine for experts or novices and adjust the style accordingly. 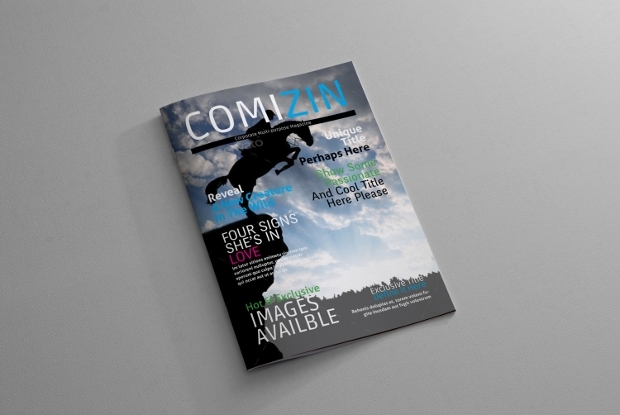 Make sure that the colors and the fonts you will use are strong and captivating to draw everyone’s attention. 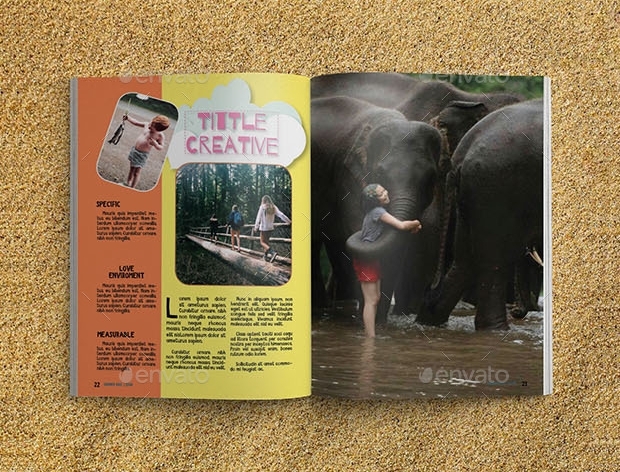 Creating magazines for kids’ needs lots of work and experience. Kids are a hard audience and that means that you have to use captivating and eye-catching designs in order to be successful. 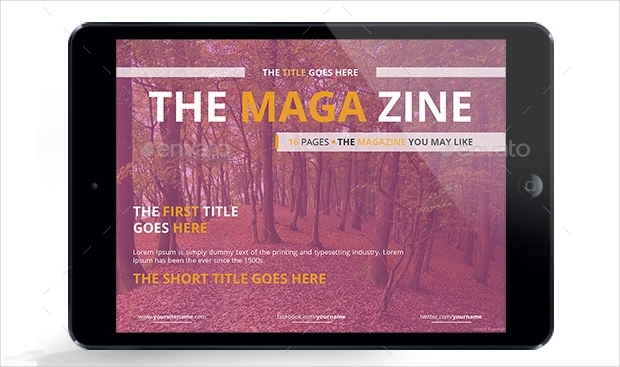 Choose a magazine template that has bright and vibrant colors with funny fonts to make it approachable. 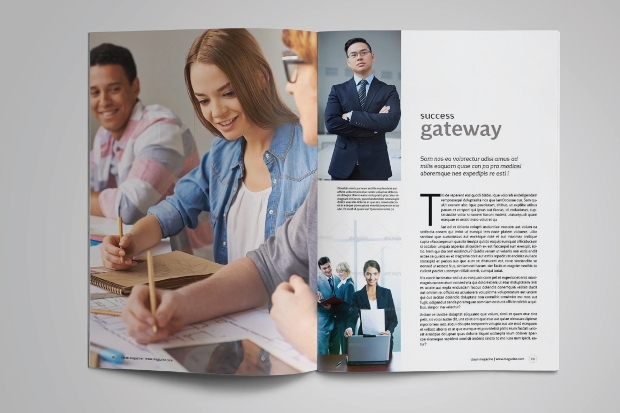 Corporate magazines have an acute and professional design. Your aim is to inform with an impressionable way. 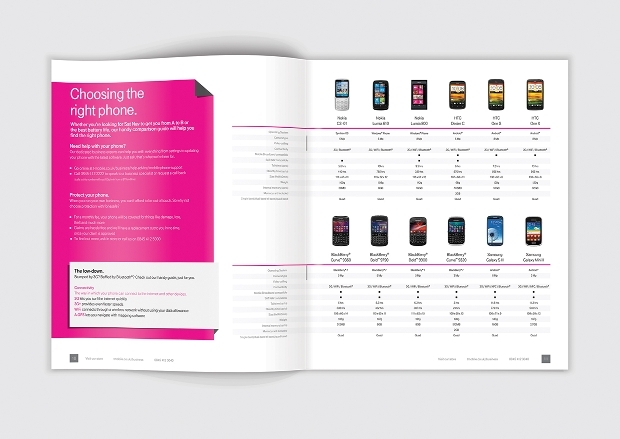 Choose a crisp design that will allow you to modify and edit accordingly. 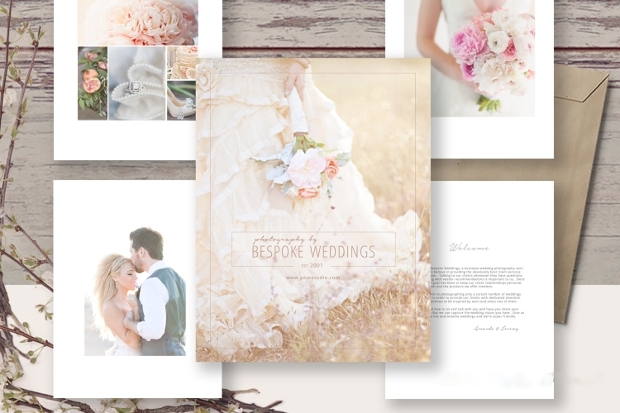 Most templates come in PSD, jpg and eps format files that have layered properties to help you to easily customize. 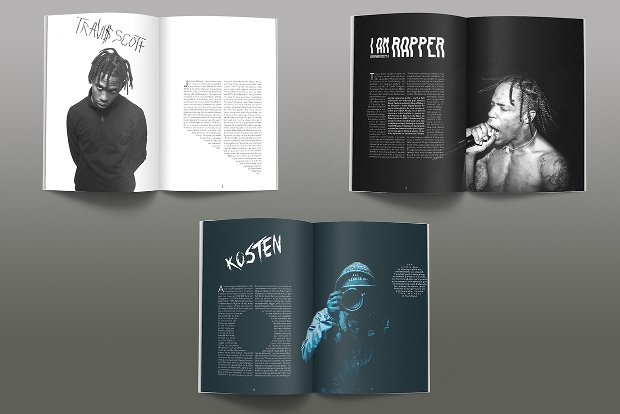 Music and arts, in general, need artistic layouts that will help the audience relate. 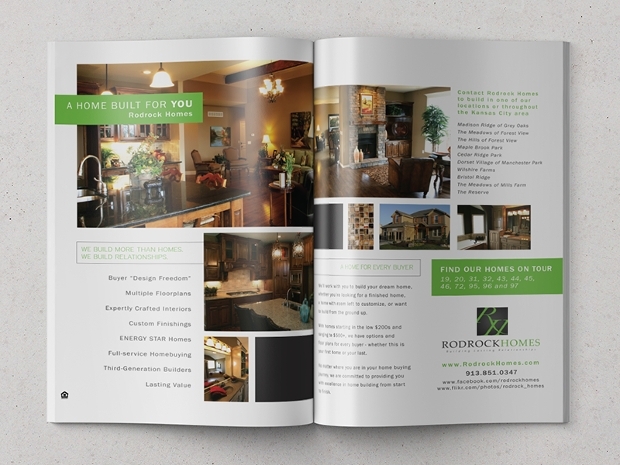 Choose artistic layouts with abstract elements to help you catch your target audience’s attention. 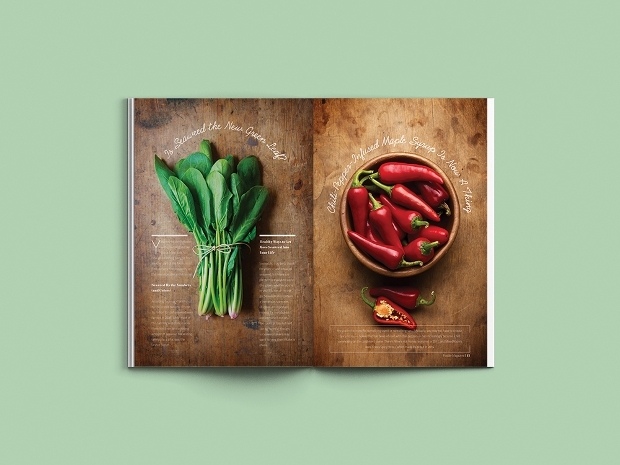 Vibrant colors will help you set the mood on every page. 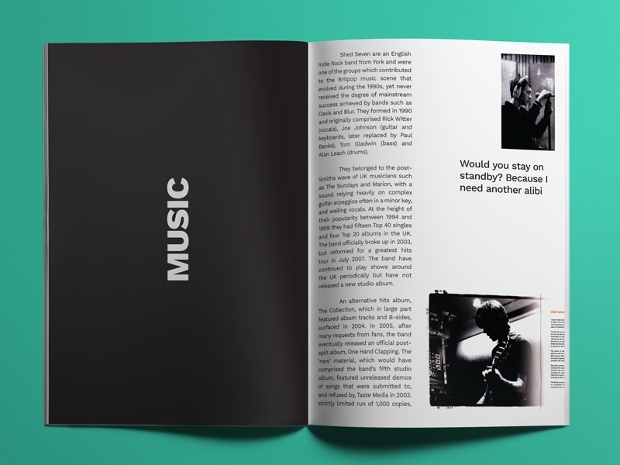 There is a great variety of music magazine templates to choose. 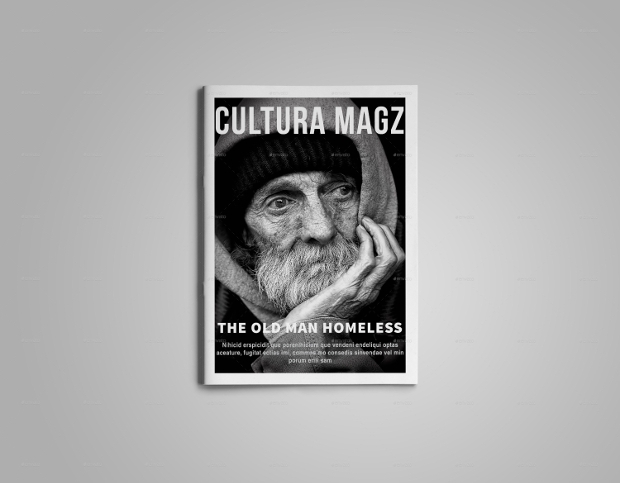 Culture magazines have a strong tone on ethnic content. You need to find a template with elements that can reflect an international audience. 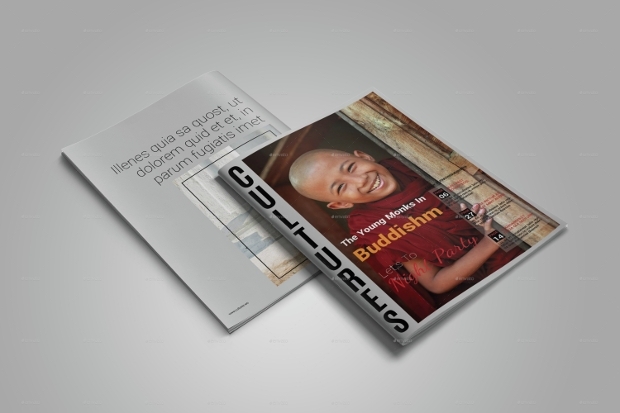 There are many template designs for culture magazines that provide easy and fast customization to help you with the process of editing. 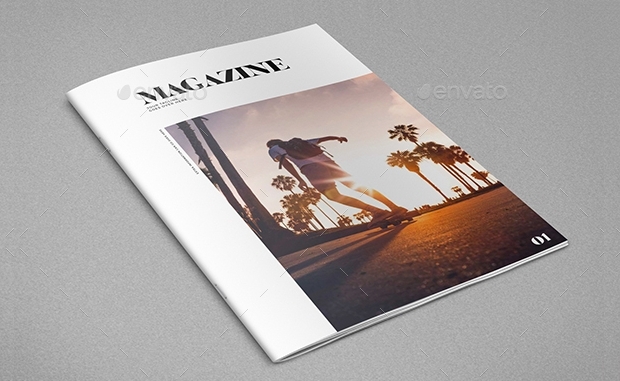 A magazine design template acts as a base for editorials. They have a specific structure that plays the role of the canvas. 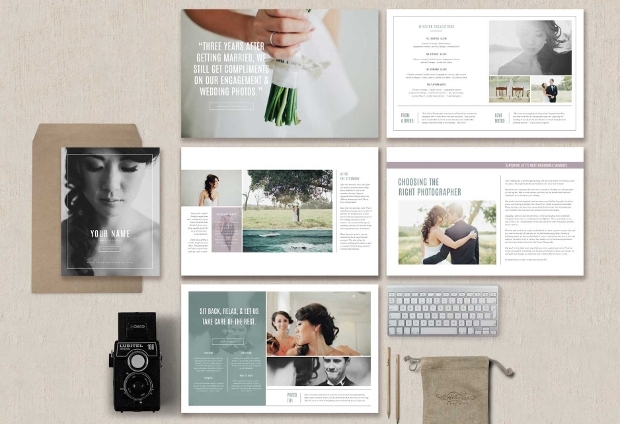 Templates offer certain layouts that give you the opportunity to create and arrange the visual and written content in a certain way that looks appealing to the eye. Think about the target audience needs. They are the ones that will judge the end result so you need to know what is or isn’t eye catching in order to be successful. In the editorial world, information should be presented in a way that is clear and easy to understand.